If you had 2017 or early 2018 in the office pool predicting when the DC restaurant bubble would burst, sorry, you’re out of contention (but not as quickly as me for picking Virginia to get to the Final Four). The openings of ambitious new restaurants just keep coming. 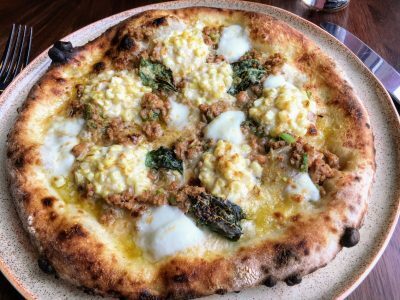 And while there are always some losses along the way, it’s hard to say that the closing of Bistro LaZeez or Ardeo+Bardeo is a gross injustice or that the overall pie isn’t larger and more delicious. Given all the changes, I thought it was time to put out a new “favorites” list. As always, these aren’t necessarily the “finest” restaurants in DC or where I’d go on someone else’s dime. Nor does the list include my favorite places for cheap-eats. Rather, this is my current list of go-to recommendations for a night out. If you woke me up in the middle of the night and asked me where you should have dinner that weekend, these are the places I’d tell you to go before I called 911. Chef Kevin Tien knows what I want to eat even before I do. 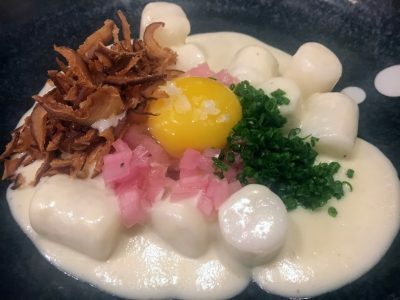 “Gnocchi” made from rice cakes? Now that you mention it, absolutely. Cabbage e Pepe? Who knew? Now please bring a second order because this one’s gone. Whatever you order at this Asian-influenced-but-mostly-Japanese shoebox will almost certainly have fresh herbs and a pop of acidity that keeps even the fried foods from feeling heavy. It’ll also be delicious. The no-reservations policy is the only negative here. 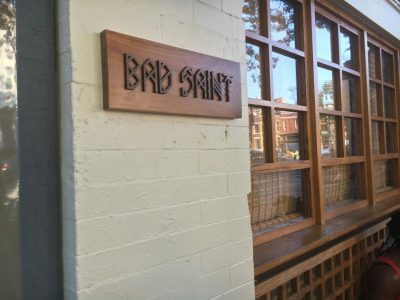 But along with Bad Saint (see #7, below), it’s worth occasionally ghosting from work early for the privilege of dining at 5:30 pm. 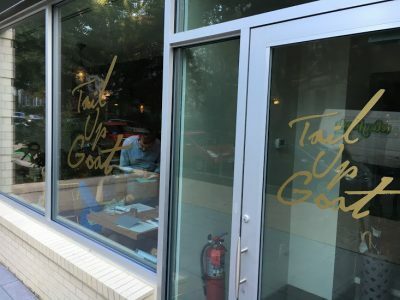 Tail Up Goat is one of those rare restaurants that’s improved with age. Not that it wasn’t terrific when it launched in 2016; now it’s just extra-terrific. The lamb ribs and pastas rightfully get a lot of love, but to me the real stars are the breads (aka toasts). Toast seems to be everywhere these days, but no one does them better than TUG. There are always three options with seemingly odd combinations that you may need to ask Siri if you’re one of those fussy eaters who needs to know everything they’re putting into their mouths. But pick any of them with confidence. 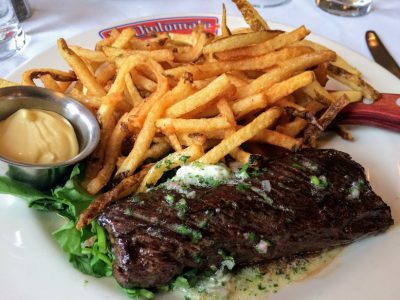 It’ll be the highlight of your meal. 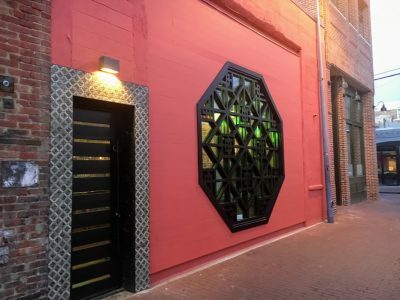 Mike Isabella’s best restaurant is this Spanish-Moroccan gem, thanks to the talents of Chef Michael Rafidi. Get the burnt eggplant with flatbread (order enough bread to have one piece per person; trust me on this), lamb ribs and the best patatas bravas in town. If you have enough people and you haven’t over-ordered elsewhere, try one of the shareable bomba rices. The bombas are like paella, but since some of the ingredients are cooked separately, the duck breast can show up as a beautiful rosy pink. The other nice thing about Arroz is they take reservations and often don’t fill up. 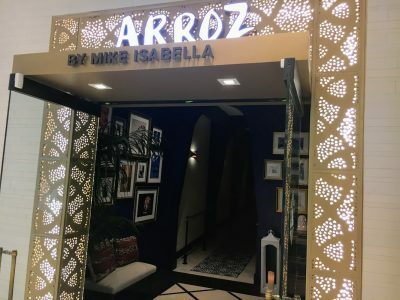 So if you’re looking for a last-minute reservation, Arroz is a good bet. 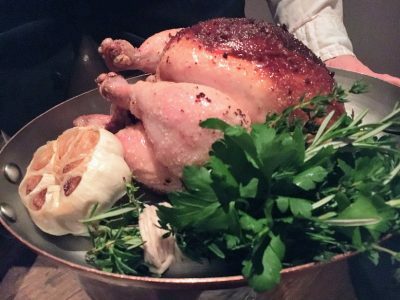 Open-hearth cooking is very of-the-moment. 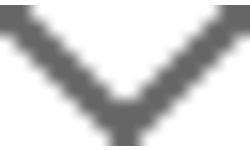 So is extreme locavore cuisine, cooking with only food farmed, raised or gathered in the mid-Atlantic region. 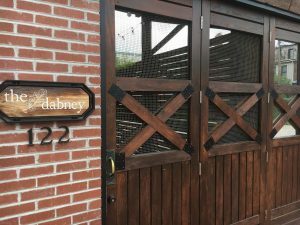 The Dabney was committed to both of those things when they still seemed a bit odd and continues to find a way to make them strengths, not limitations, even in the middle of winter. I love any veggies roasted in the embers or charred over the open fire. And you can’t go wrong with the whole grilled fish or chicken and dumplings. 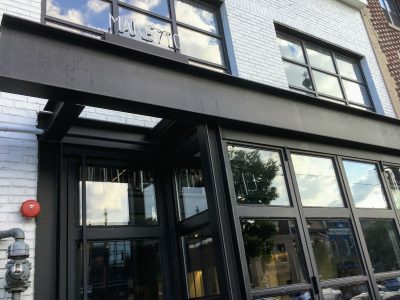 Kinship’s fancier sibling, Metier, was just named DC’s #1 restaurant in Washingtonian. 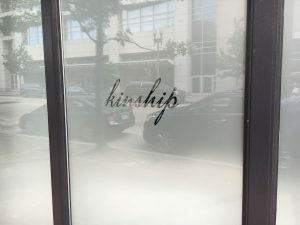 I prefer the less fussy and less expensive — but certainly not cheap — Kinship. Either way, I love that Chef Eric Ziebold tends his garden. 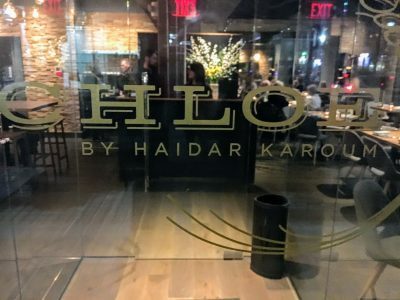 Both of his restaurants are in the same building and share a kitchen. He doesn’t get distracted by trying to open new places or writing cookbooks. For all I know he lives upstairs and he commutes to work by fire pole. You can’t go wrong with the Kinship classics like the lobster french toast and the chicken, but order with impunity. I guarantee you’ll be delighted. My first thought looking at Chloe’s menu was that I’d stumbled into the food court at Epcot. 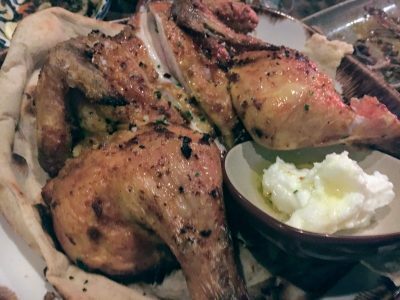 Bavarian white sausage rubbing elbows with Vietnamese roast chicken, Indian fish curry, house-made ricotta, meat-topped hummus, and several other far-flung cuisines. The last place I ate that tried to do so many disparate things was Farmers & Distillers and that didn’t turn out so well. But in the sure hands of Haidar Karoum — ex-Proof, Estadio and Doi Moi — it all works. 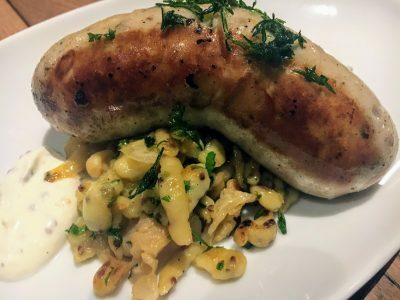 That Bavarian sausage in particular was a last-second order (mostly because I love spaetzle) but it turned out to be one of my favorite sausages ever. The only reason Bad Saint doesn’t rank higher is I just can’t get there enough. The no-reservations policy feels like a bigger barrier than others in town. 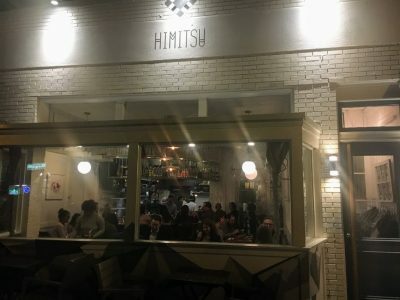 Himitsu is about the same size but you don’t have to line up as early. And unlike Himitsu and Rose’s, after standing in line at Bad Saint, you’re liable to be crammed into a stool at a counter. But if you persevere, the bold Filipino cooking, from the littleneck clams to the sisig to the pancit sotanghon (bean thread with squid ink and calabrian chiles), makes it so so worth it. It’s not often something really new comes along. But there’s nothing quite like Chiko. 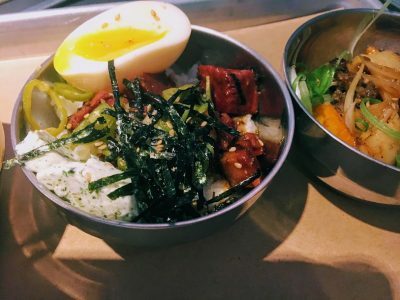 A chef-driven, fast-casual restaurant with a rock-and-roll attitude and a Chinese-Korean palette. I’m sure there are other hyphenated adjectives that fit but you get the idea. 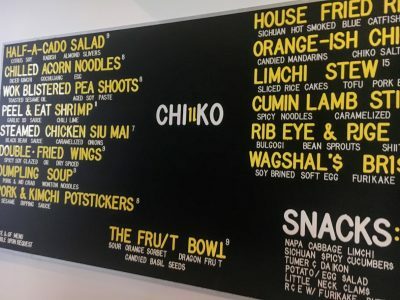 Chiko also rescued the tasting menu concept from precious high-end oblivion by reducing the price to $50 and providing good-sized portions of almost everything on the menu rather than one or two measly bites. Get the cumin lamb stir-fry, the Wagshal’s chopped brisket and the House Fried Rice with smoked blue catfish. 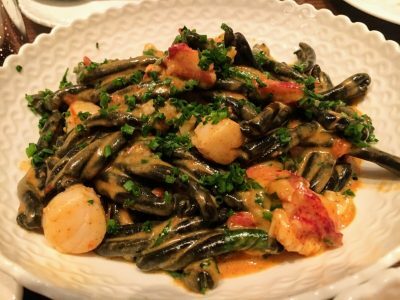 It’s not surprising that French-born chef David Deshaies trained under the late-great Michel Richard at both Citronelle and Central. He learned at the feet of the master about taking classic American food and elevating it. Diner standards like the burger, meatloaf, and fried chicken are all terrific here. And I really appreciate Deshaies’s take on avocado toast, in which he serves the avocado and the toast separately for the customer to make their own. 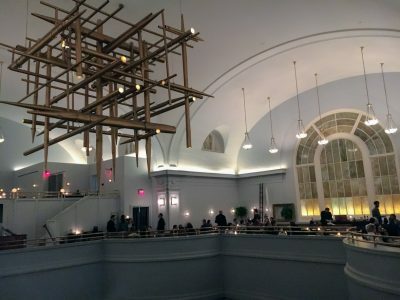 There’s no cooler or more transportive restaurant in DC than Maydan. 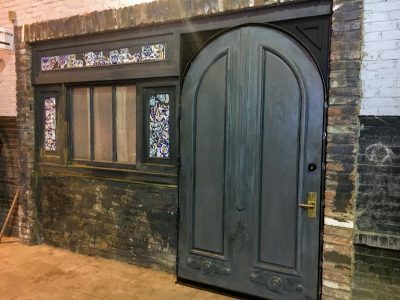 You walk down an alley, through some unprepossessing doors, and it’s almost like stepping into Willy Wonka’s garden. The only thing missing is Gene Wilder singing “Pure Imagination.” The dining room is built around an open hearth, which not only functions as the cooking medium but gives the space a communal, elemental vibe. Michelle Obama ate here in January and brought Barack back a few weeks later. That’s how cool it is. Plus the food is very good. Load up the table with salads, spreads, kebabs, veggies and roast chicken and soak it all in. 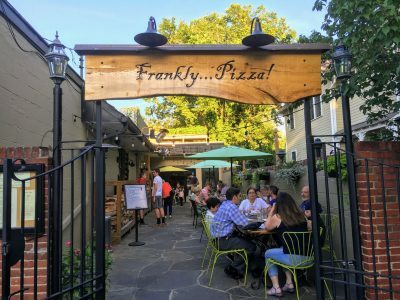 My favorite pizza in DC is found at this neighborhood spot with the weird name in Kensington. Pillowy, almost billowy crust that maintains crispness, smoke and char. 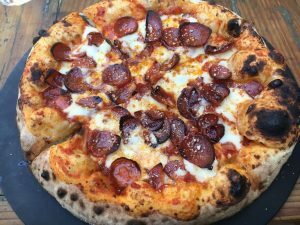 The multi-ingredient Hot Mess is a crowd favorite but I prefer to keep it simple with some pepperoni or house-made bacon or sausage and a sprinkle of fresh minced garlic. There’s not much on the menu other than pizza and a salad or two, but when the craving hits, what else do you need. Hip indoor-outdoor space for Erik Bruner-Yang’s Cambodian-Taiwanese cooking. 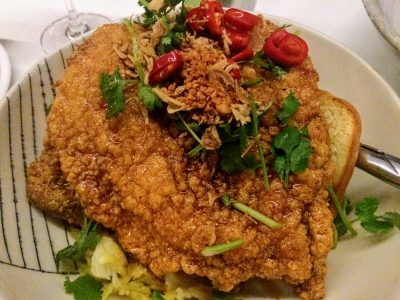 The fried chicken deserves the accolades but there’s a lot to explore, from bigger dishes like Wagyu short ribs in lok lok sauce and red roast pork bao platter to smaller plates of dumplings, noodles and shrimp toast. The all-day menu, which used to be limited, has been expanded making this a great out-of-the-way lunch spot. 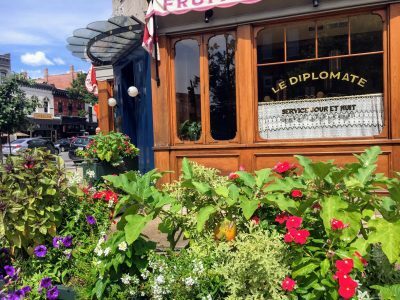 In some ways as transportive as Maydan, but rather than taking you to some unidentified exotic land, Le Diplomate takes you somewhere very specific — the Paris bistro of your dreams. Dodge the yoga mat-toting millenials on 14th Street and feel like you’ve stepped directly into the 14th Arrondisement. It feels authentic rather than stagey because the food is the real deal. Start with the stellar bread basket and then tuck into any of the bistro classics or one of the best burgers in town. My third alley-based restaurant in the top 25, this Hong-Kong inspired restaurant is just across the way from The Dabney. Hong Kong cooking is closely related to Cantonese cuisine, but its history of international commerce means it’s been open to other influences as well (Hong Kong is the birthplace of XO sauce, one of its great gifts to humanity). 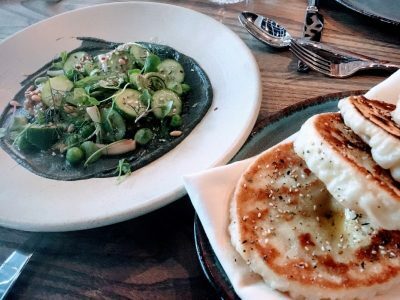 Unfortunately, the delicious dairy-cow dumplings have been dropped from Tiger Fork’s current menu; hopefully they’ll be back. 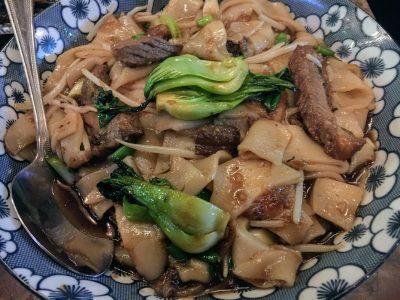 In the meantime, you’ll be happy with the beef chow foon, the clams and the BBQ meats, and the bubble waffle is a party on a plate for dessert. 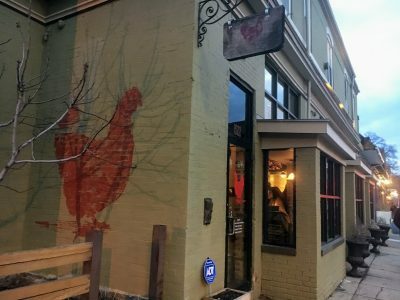 No one’s ever said a bad word about Red Hen. It’s the Tom Hanks of DC restaurants. 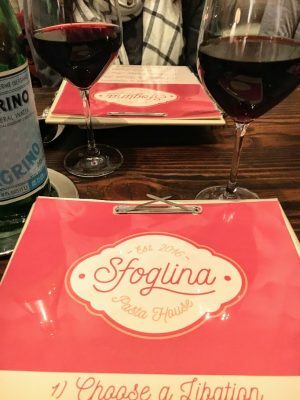 The rigatoni with sausage is the signature dish but all of the pastas are good as are the scallops and porchetta sandwich. They take limited reservations but don’t be discouraged. They save plenty of tables for walk-ins and there are a bunch of seats at the bar. Another protege of Michel Richard, Cedric Maupillier channels his mentor’s skill and playfulness. 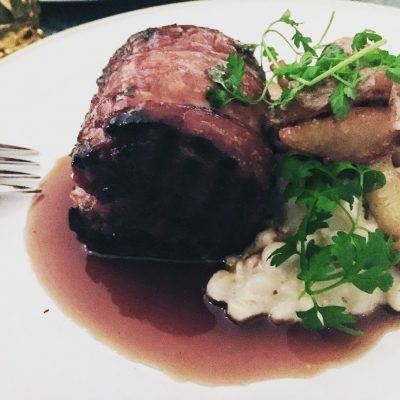 Try the leeks Lyonnaise, beef tartare, cauliflower and any of the chicken or fish dishes. And save room for dessert. There aren’t many places that serve both floating island, my mom’s favorite dessert, and hot sticky toffee pudding, one of mine. 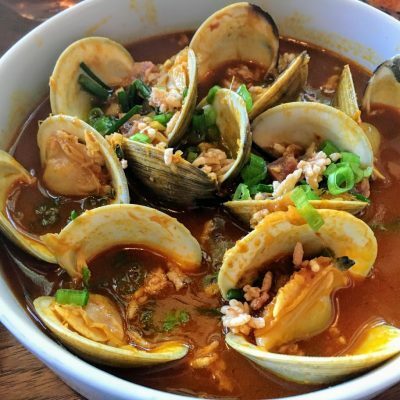 When she opened her first restaurant, Bangkok Golden in Falls Church, Chef Seng Luangrath served Thai food along with her native Laotian cuisine. 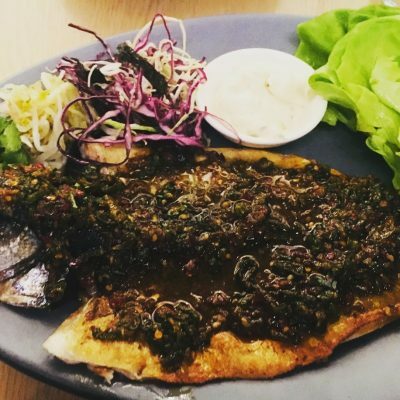 But people flocked to Bangkok Golden (now renamed Padaek) for the spicy, herbal, pungent Laotian food rather than the familiar Thai food they could get elsewhere. 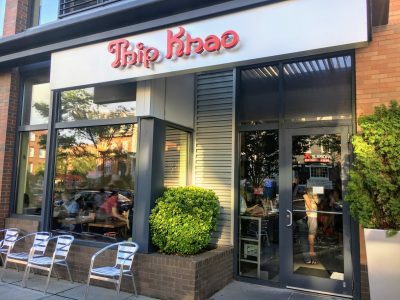 So when she opened Thip Khao in Columbia Heights she went full-on Laotian. There’s a “jungle menu” for the adventurous who are both brave of heart and prefer them grilled. And while many of the items are extremely spicy — believe the warnings on the menu — you can still have a great meal here even if you’re not a chile-head. 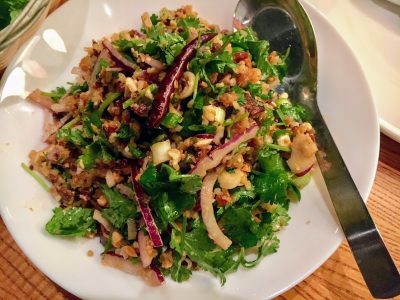 One must-order dish that’s not too spicy is naem khao — crispy rice salad with herbs and pork that you wrap in lettuce leaves. The newest restaurant on the list and the only one that I’m still not sure how to pronounce. 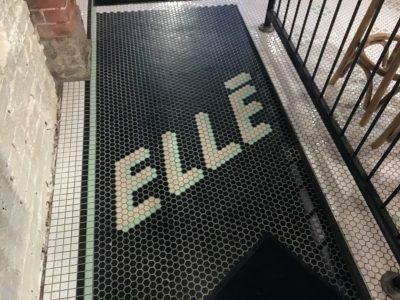 Ell-ee? Ell-ay? It doesn’t really matter. 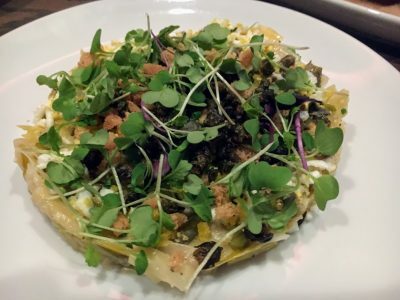 This bakery/coffee shop by day, restaurant/wine bar by night has a limited but delicious menu that creates unique and winning combinations from disparate sources. 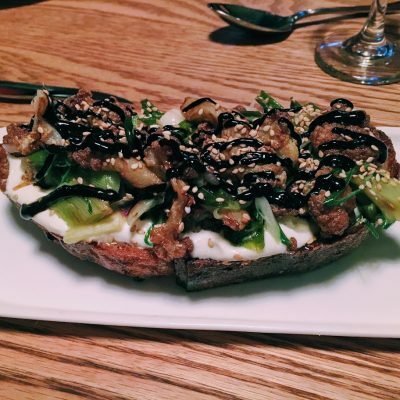 With the bakery connection, it’s not surprising that the toasts are particularly good, including the grilled kimchi toast with labneh and XO sauce. Tail-Up Goat may have some competition for TBTIT (the best toast in town). 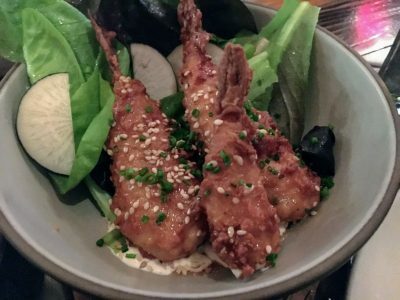 If you haven’t been to Momofuku for a while, it’s time to go back. I stumbled in there a few weeks ago and had a great dinner. 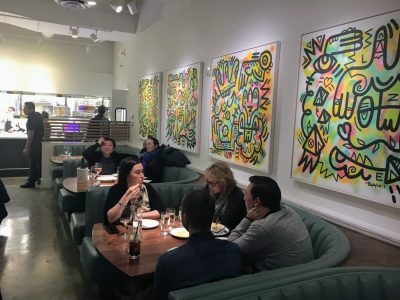 Unbeknownst to me, a new chef was in charge and David Chang told him to “blow up” the menu, which had become a museum piece of Momofuku’s greatest hits rather than an indigenous DC restaurant. Get the Whole Roasted Branzino Ssam, one of the new “Bing” breads, and — what else these days — the Middleneck Clam Toast with Sichuan sausage and dill mayo. 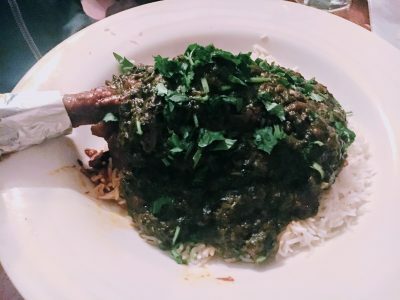 Afghan food should be more popular. It’s an accessible cuisine that uses plenty of warm spices but isn’t spicy. It features things Americans love — wonderful dumplings, grilled and stewed meats, and no one does veggies like pumpkin and eggplant better. You could bring the kids or your vegan sister and everyone would be happy. 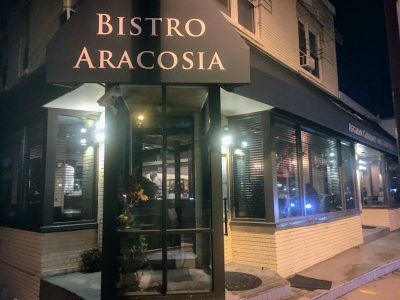 Bistro Aracosia opened just last fall in the old Listrani’s space on MacArthur Blvd, but its buzzy dining room has already raised the profile of Afghan cooking in DC. Plus, unlike many ethnic restaurants, you can reserve on Open Table. 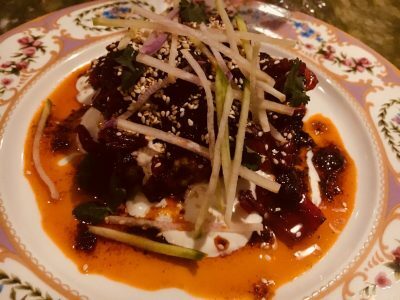 My erstwhile #1 restaurant is still hanging around the top 25 on the strength of its smaller plates (the lychee salad is still crave-worthy), welcoming service and setting. 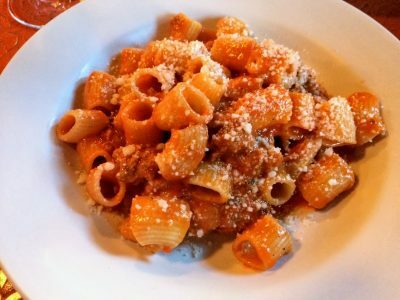 The pasta program, once the backbone of the menu, has slipped. 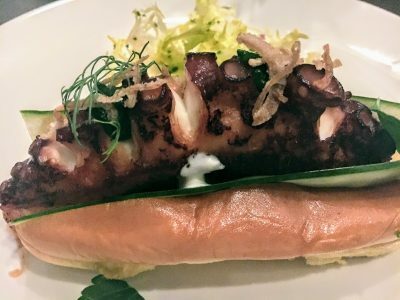 Maybe they’ve been distracted by the opening of Little Pearl or the high-wire tasting menu at Pineapple and Pearls, but the original star that put Chef Aaron Silverman on the map could use a little care and attention. 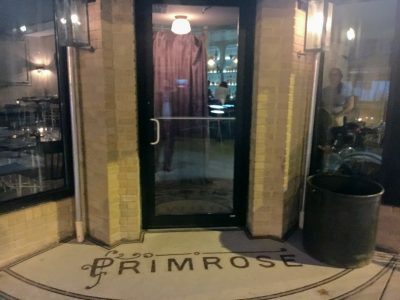 Brookland is on the verge of becoming a dining destination and this place will be a cornerstone. As much about the wine as the food but the food is very good bistro fare. 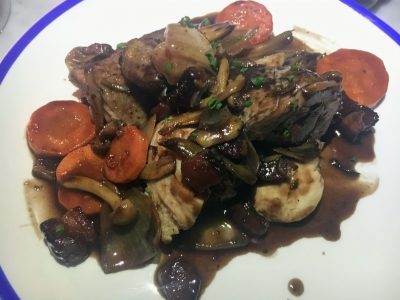 Sip some deep-track wines by the glass among the ostrich feathered-decor and order some well-cooked onion soup, streak frites or coq au vin. Life is pretty good. 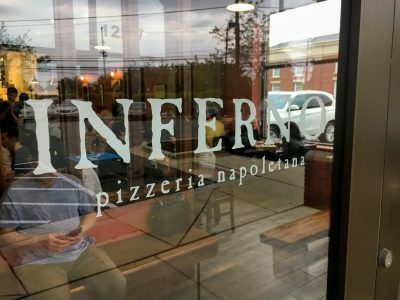 When Chef Tony Conte left the power-dining Oval Room to open this pizzeria in a suburban strip mall in Darnestown, people wondered what was up. Turns out the strip mall is near his home in Gaithersburg. Sometimes when someone in DC says they’re leaving their current job to spend more time with their family, they actually mean it. The pizzas are terrific but there’s much more to love like cheeses, salads, and soft serve for dessert. Look for special events where Chef Conte can show his range. 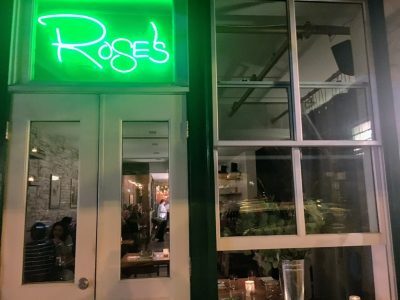 Every year I include a restaurant at the end of the list that wouldn’t make my top 25 based on my personal experience but that shows promise and/or other people have raved about. Last year it was Mirabelle, which still hasn’t cracked the top 25. This year it’s A Rake’s Progress and Brothers & Sisters. I lump them together for a couple of reasons. 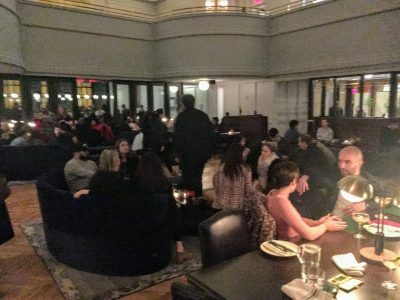 First, they’re both located in the same space in The Line Hotel (Brothers & Sisters downstairs and A Rake’s Progress on the mezzanine level). Second, the space itself is undeniably cool, so if you’re looking for a place to hang out, either would be a good choice. Unfortunately, during my visits the food hasn’t lived up to the setting. 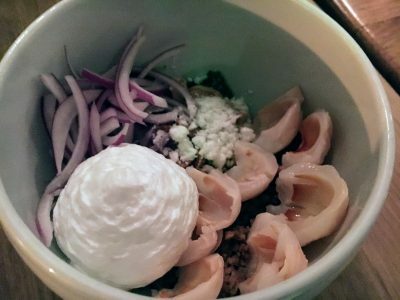 There were some good dishes at both (the gratis bread and rabbit-stuffed rabbit at A Rake’s Progress and the knife-cut noodles at Brothers & Sisters). But overall the food was disappointing. With the talent in both kitchens, though, it’s way too early to count them out. So that’s my top 25 list right now, in mid-March of 2018. 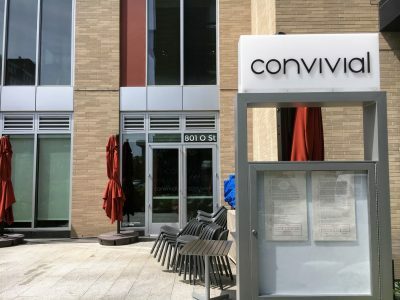 Enjoy the continuing DC restaurant boom while it lasts. And turn out the lights on your way out. 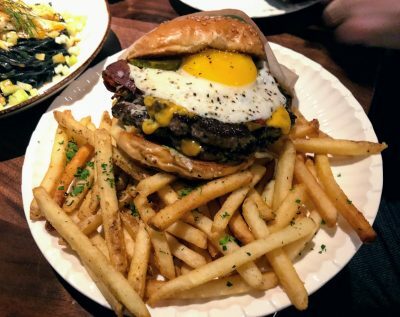 This entry was posted in Best Burgers, Best of Lists, Restaurants DC. Bookmark the permalink. Great list Rick! Looking forward to trying Maydan, Chloe, Unconventional Diner and Primrose (glad to see Brookland moving up as Nido in nearby Woodbridge sadly didn’t make it). And based on your review, I’ll rediscover Red Hen, an early favorite as the DC dining scene was taking off. 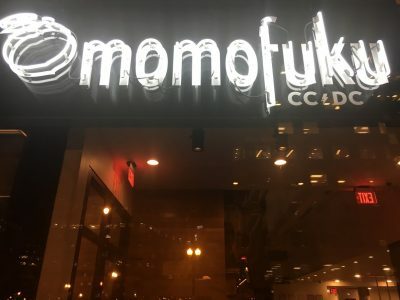 Momofuku was indeed resting on its laurels but will give it another try. So many great places in your top 25! Thanks, Loretta, we can do lunch at Momofuku! Thanks for your list, Rick! It was fun to stumble upon your blog. Definitely agree with you for most of it and I wish I could try some of those other places too (Though I’ll admit that I don’t tend to wander too far from Adams Morgan, Mt. Pleasant, and Columbia Heights). I’ve really liked becoming a regular at a few places and saving other places for special nights out, so I don’t do as much exploring as I’d like. Tail Up Goat and Elle (pronounced like “Ellie”) are my current favorites; like you, I’m a big fan of their toasts. Agreed that Elle’s kimchi toast is ridiculously good. You have to try Spoken English (also in the Line) which opened up pretty recently. Very fun concept with excellent bites. Much of it is cooked over a wood fire too. Have you tried Sally’s Middle Name on H Street? (sort of across the street from Maketto and down the block). Based on what I’ve read in your other reviews, I think it would be right up your alley. Oh and if you haven’t tried Lucky Buns in Adams Morgan yet, you really should. Probably my favorite burgers in DC right now. Thanks so much for the feedback. Sally’s Middle Name and Lucky Buns are both high on my list of places to check out. I did just go to Spoken English last Tuesday. Definitely fun and really liked what I had. I’d like to go back sometime for the Duck, which looked amazing. Just had a disappointing experience at Brothers & Sisters, not about the food but the service. Stopped in to see the The Line Hotel and have dessert. Service was pretty bad. Took half an hour, two servers and the friendly greeter to get one piece of cake – – an absolutely delicious flourless hazelnut chocolate cake — but poor service nonetheless. Server one disappeared and then another one shows up while server one is off in another section of the floor ignoring us after we spoke up. Few apologies until the very end when they finally comped the cake. We paid for drinks and left a tip. The vibe is not great — noisy, and a mix of folks sitting around on computers, drinking Starbucks brought in from outside, some people eating dinner, others hanging out. Maybe the vibe changes after 6 pm or on a weeknight. But if you want casual chic, go to the Ritz-Carlton bar in Georgetown’s converted foundry. Needless to say, we may come back to try A Rake’s Progress we really like Spike Gjerde’s (sp) cooking — but on a weeknight.